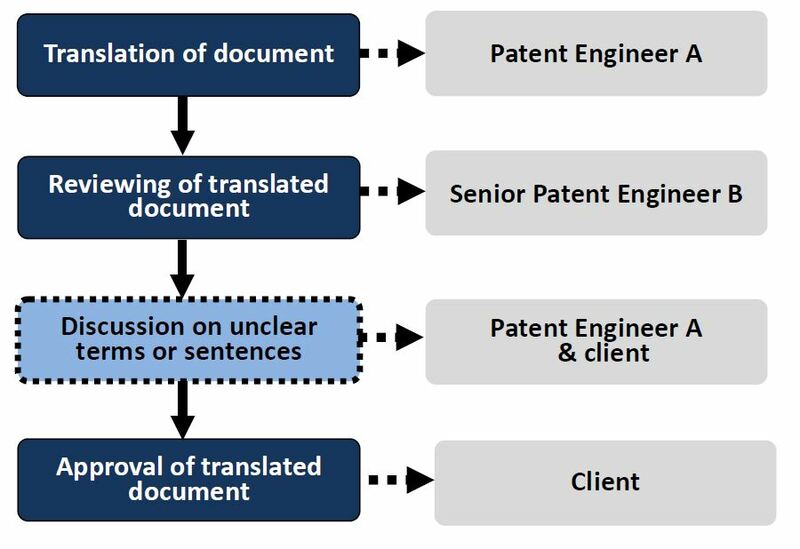 Jiaquan's patent translation services assist companies and law firms precisely translate patent applications, prior art, foreign references, and related IP documents. Documents are translated by patent engineers of corresponding technical fields and reviewed by senior patent engineer in our international department. We have bi-lingual patent engineers in the field of mechanical engineering, electric engineering, computer science, life science, pharmaceuticals, chemistry, physics etc. (want to know more about our team, please refer to here) Our translating patent engineers are fluent in at least one foreign language both in writing and oral language, enabling them to communicating directly with international clients on the translation issue arise in the course. With the assistance of advanced computer-assisted translation system developed by Jiaquan, we deliver service of patent translation with maximum accuracy and efficiency. Our computer-assisted translation system stands out from peers in three aspects: intelligent memory, robust language search and efficient terminology management. As the translator works through a document, the system displays each source segment in turn and provides a previous translation for re-use, if the program finds a matching source segment in its database. Otherwise, the program allows the translator to enter a translation for the new segment. After the translation for a segment is completed, the program stores the new translation and moves on to the next segment. 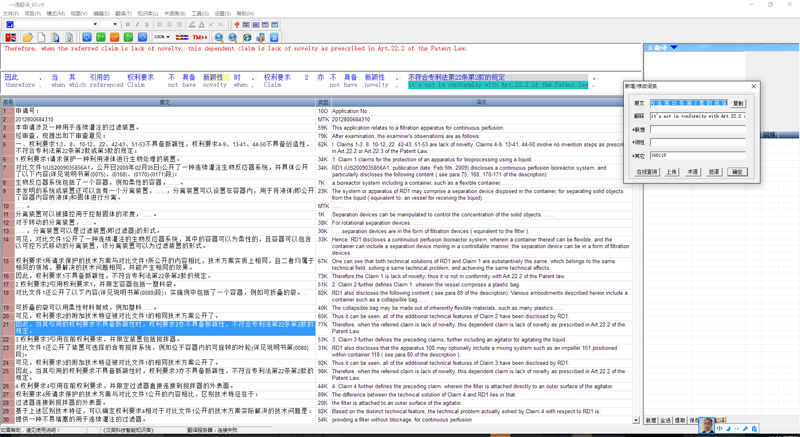 Jiaquan’s computer-assisted translation system is an internet-based system, featuring a robust language search engine searching a large repository of translation memories to find previously translated sentence fragments, phrases, whole sentences, even complete paragraphs that match source document segments. Jiaquan’s system provides the translator a means of automatically searching a given terminology database for terms appearing in a document through displaying terms in the interface window. Translator can also use hot keys to view the entry in the terminology database. The system also allow the translator to add new terminology to the terminology database during translation with combination of hotkeys. Our Los Angles Office provides certified Mandarin court interpretation service and translation service before different courts of California, County of Los Angeles and the United States District Court, Central District of California in Los Angeles for the federal courthouses. With certificate of US court interpreter, we provide Chinese translation services as well as service of legal document serving from US plaintiff to Chinese defendant.